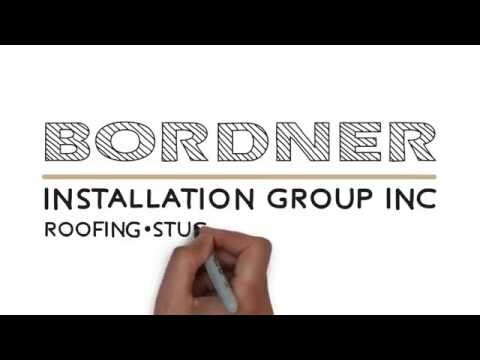 Bordner has been providing quality stone and stucco re-siding installations to the Kansas City area for years. Stucco is a time-tested product that has been around for centuries. It consists of Portland cement, masonry cement, sand, water and fiberglass fibers, and is impact resistant, fire resistant, and impervious to termites and rot. Stucco hardness is second only to a brick siding solution. Stucco also offers a low-maintenance exterior with unlimited design options. Stucco has become well known for its durability for homes in the Kansas City area and throughout the Midwest. If you are considering residing your home, stucco might be a great option. Because not all homes are right for stucco re-siding, we recommend an analysis and consultation with a Bordner stucco expert. Contact us online or call 816-358-2102 for your FREE analysis. When it comes to conventional stucco, Bordner uses a one-coat stucco system. Compared to other systems with multiple layers and more issues. This type of stucco is cost-effective offering greater flexural strength, higher impact resistance, and faster installation than other conventional stucco options. It enhances weather resistance, and maintains a long-term appearance. Bordner uses stucco produced by Dryvit and Quikrete which combine the best of engineered fiber-reinforced cement stucco with technologically advanced elastomeric finishes to create a stucco cladding that is superior to traditional, field-mixed sand, lime and cement. We also offer a waterproofing/air barrier component that is an innovative, spray or roll applied building wrap that has significant advantages over paper and fabric building wraps including superior water protection and air leakage resistance. We provide a wide variety of popular stucco colors and custom tints, smooth and textured finishes and more than 1,000,000 tint formulas, enabling incredible custom design options and color selection. The exterior appearance of a home can be enhanced, while maintaining or improving its durability (even during the Kansas City Metro area’s varied weather changes) through the use of low-maintenance, sculptured trim. Sculptured trim includes window trim, quoins, keystones, decorative crown molding, or just about anything that can be done with wood trim siding. Sculpted stucco trim is more cost effective than traditional trim over time, because repainting and replacing any rotted materials becomes unnecessary. The foam sculptured trim allows for color updating or changes. If a truly low-maintenance exterior is desired, Bordner can apply an acrylic finish coat instead of paint. It is available in a variety of colors and textures. After the masonry stucco has dried and cured, acrylic is troweled onto and over the base coat in lieu of paint. To change the color of your house in the future, normal house paint or Elastomeric paint can be applied over the acrylic finish. To learn more about stucco options for your home, contact us online or call 816-358-2102.